Does that question resonate with you at all? Did your parents use to say that to you when you were a child? Or, have you had to say that to your own children? Even though we’re adults, those words, “did you hear what I said” bears repeating. IT’S TRUE: FACTS TELL, STORIES SELL..How a Stay-at-Home Mom & Serial Storyteller Makes More Money than most Doctors by telling Simple Stories to Print Money in YOUR Business! 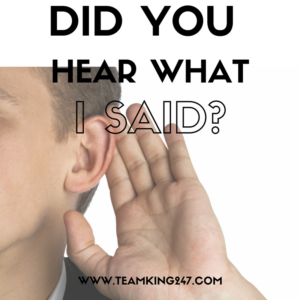 Oftentimes, we equate these to be offensive but it boils down to aksing yourself: what did you hear them say? Did you hear criticism out of spite or did you hear correction out of love? It’s important that we know the difference because the difference greatly affects our response. Think of it from this vantage point: when you give your children instruction/correction, do you say it to be spiteful or because you want to see them do and be better? More than likely, you answered with the latter. If that’s true, then, as adults, why would it be any different when it’s done to us? Before you speak or react – consider who said it and their intention behind what they said. Did you hear anything that would cause you to react defensively? Ask yourself “what did you hear”? Are you able to see evidence, of what they said, in that person’s life? With a mind to do – If you confirm that what you heard was out of care and concern, then take the instruction/correction and run with it. With a mind to remember – remember what was said to you. If you can see evidence in the person’s life that what they told you has worked for them, then write down the instruction and implement it. Don’t delay, just do it. They took the time to invest in you and your business, then the least you could do is take it and, in turn, invest in yourself. It’s important that we be sensitive to instruction and/or correction that’s given to us. If you have to question anything, then question the delivery. Did you hear anything that would hurt or harm you? Probably not. So, execute and watch what was poured into you come through in your business and flourish. We hope you found today’s motivational post on did you hear what I said enlightening. If you found today’s post to be of value to you, then we would love for you to leave a comment below. Also, if you believe this information would be a blessing to someone else, then feel free to share it with others. 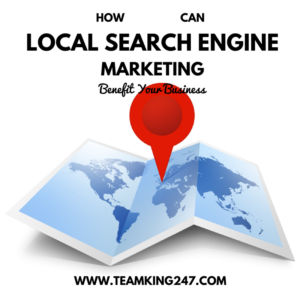 QUICK TIP: How Can Local Search Engine Marketing Benefit Your Business? Before we get off and running with devising marketing strategies that reach far and wide, stop for a moment and take a look at what you can do in your local market. 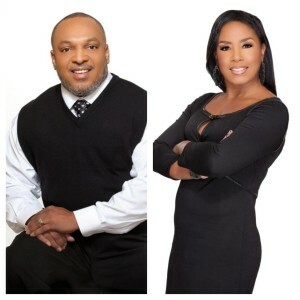 There are prospects right in your backyard that you are probably overlooking because you’re too busy trying to reach the masses outside of your immediate area. It’s called local search engine marketing and it can drive profitable traffic to your offer, opportunity or products and services. If you’re a local or small business owner, then it behooves you to look into small business SEO. Why? Because your target market are those within your immediate geographical area. These points, that we’re about to share, will be helpful to you and those that have global businesses. Imagine for a second, what you do when you’re looking for a service that’s within your neighborhood, city or town. You make use of local searches to find reputable business that can fulfill a need, right? The same goes for your prospects. They have a need, they take to using a local search engine to find businesses that offer a solution to their need. Will your business pop up in their search results? Are you now seeing the big picture? It reduces the amount of competition – when you niche your marketing down to a specific geographical area, you dwindle your competition down to little or nothing. It puts your business in front of a centralized market – local means just that local. The ad or promo that you’re running will only reach those that are “local” to the geographical area of your choice. These local SEO tips only work when you add one “key” word to your primary keyword research. Take a wild guess as to what that could be? The CITY that you are targeting! Too easy, right? Add the local city that you are targeting to your keyword and you’ll begin utilizing local search SEO to drive traffic to your offer. We hope you found today’s quick tip on how can local search engine marketing benefit your business useful. If you found today’s post to be of value to you, then we would love for you to leave a comment below. Also, if you believe this information would be a blessing to someone else, then feel free to share it with others. If you want your content to continue working for you, days, weeks, months, years after you’ve uploaded it to the internet, then its key that you learn and know all that you can about SEO. We have 5 search engine optimization tips to share with you to get you started. FREE TRAINING: Simple SEO Strategies to Dominate Your Local Niche & Get FREE 24/7 Traffic & Leads Flowing In to ANY Biz! MLSP’s Own SEO Whiz Kid Gives Up His Secrets That ANYBODY Can Use for Targeted Local Traffic to GROW YOUR BIZ! When done correctly, SEO ranking can get you on the 1st page of Google. There was a statement that we heard in a training video we watched and it said “work once and get paid again and again”. How would you like that to happen for you? Once you put your content out for others to find, it continues working for you over and over again, getting you paid every time a prospect “finds” your content using Google search. Decide what you’re selling – determine what product or service you’re going to sell. You probably already know what that is but just know that this is the first step . Research your target market – essentially, you should know who would actually buy your product/service. Income, marital status, gender, geographic area, etc. Find out everything that you can about this. The more you know, the better position you’ll be in. Research their pain and find a solution – Find out what ails them. What things have they tried to do to solve the problem? How long have they been dealing with the issue? How can you/your product or service help? Provide content that gives a solution and directs them to an offer – Once you have the answer(s) to the pain, put it into some form of valuable content and have that content linked or redirect them to an offer. Promote your content so that it’s easily found – use free or paid methods to get your content out on the internet for the masses to find. This is where you research pays off and gives you a return on your investment. Any content that you put out will be there for years to come along for old, and new, prospects to find and benefit from its value as well as be redirected to your offer. These search engine marketing basics only scratch the surface of what you can do with SEO optimization. Your goal is Google ranking. 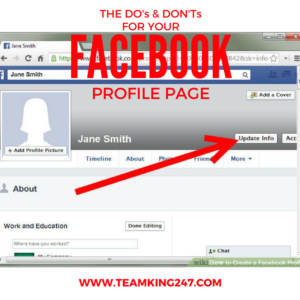 Whether that be page 10 or page 1, get ranked and tweak from there. This doesn’t only apply to your content but also to your website optimization. If you have your website properly represented with the right keywords, then driving traffic to your site will be a breeze. 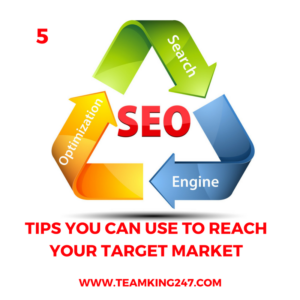 We hope you found today’s post on 5 search engine optimization tips you can use to reach your target market helpful. If you found today’s post to be of value to you, then we would love for you to leave a comment below. Also, if you believe this information would be a blessing to someone else, then feel free to share it with others. Ooo, you said a bad word! You said the “A” word. Isn’t that how most people treat that word? However, for us as entrepreneurs, it’s a must that we keep it in check and change our attitude when necessary. Keep reading to learn when and why we need to make an attitude adjustment. Having a good attitude comes easy for some more so than others. Sure, we all may start out, with good intentions, on having a good day but something or someone will surely come along and blow it for us. Now what? What do you do to fix your attitude so that what was said, or done, doesn’t ruin the rest of your day? Glad you asked. Haven’t cast our cares – Some of us are the pillar of our families and/or for our friends. When they go through something, they immediately turn to us to vent to or look for solutions. Little do we know that we’re harboring all of that & not releasing it from off ourselves. This is a clear indication that we need to change a negative attitude to a positive one. Aren’t thinking correctly – positive thinking is the only way we can see a situation from both perspectives. When we allow someone else’s opinions, or problems, influence our thoughts, we need to change our attitudes. Don’t allow yourself to get carried away with your thought life UNTIL you’ve taken the time to evaluate the situation and see it from both sides. Done what we’ve been taught – This is key. Especially for those of us that we are gleaning from and those that are gleaning from us. When a coach, mentor, upline, sponsor, supervisor, manager, etc. shares their insight and business sense with you: listen and learn. Their expertise got them to where they are, so why is it that we feel as though it wouldn’t work for us? Somehow, we think that we can do things differently and come out with better results. That’s what they term as “insanity”. Go back to what you were taught, follow the instructions step-by-step and once you perfect it, then you can tweak it to where it’s comfortable for you BUT not UNTIL you produce some results. Change your attitude change your life. If you can relate to any of the above, then it’s time to adjust your attitude. Your business, your livelihood, your family, your employees, your team, and YOU are depending on it. 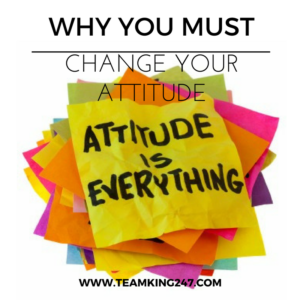 We hope you found today’s motivational post on why we must change your attitude insightful. If you found today’s post to be of value to you, then we would love for you to leave a comment below. Also, if you believe this information would be a blessing to someone else, then feel free to share it with others. Has this happened to you: you have your good days and then you’ve had some bad days? LOL, don’t worry about it; it has happened to all of us at some point. However, it’s how we handle things during those bad days that really count. That’s why it’s important that we have a positive attitude in the workplace during those times. Having a positive attitude carries its own weight in gold. Think about how it makes you feel when you encounter someone that has a good attitude. It’s uplifting, it probably puts a smile on your face and makes you feel good, right? So, imagine how it would impact those that you work with or work for you if you had a positive attitude at work? It would be a real morale booster. What we’re building right now, whether it’s from the ground up or we’re establishing a foundation for our legacy to build upon, our labor of love is ultimately being built for our legacy. We may rejoice in the fruits of our labor right now, but deep down, we’re working as hard as we are because we want to leave behind a legacy for our families. Checking our workplace attitude at the door and coming in with a positive attitude is crucial to changing what could be a bad situation into good. Continue to serve your team, employees and clients with a cheerful heart and don’t let their bad days cause you to stain your name, character or legacy. We hope you found today’s motivational post on why it’s important to have a positive attitude in the workplace uplifting. If you found today’s post to be of value to you, then we would love for you to leave a comment below. Also, if you believe this information would be a blessing to someone else, then feel free to share it with others. Every day, we’re doing something to grow our business (at least we should be); but, do you know what it is that you do? Are you consistent with it? Can you visually see the fruit of your labor? If not, then it may be time that you implement a DMO plan. So, you’re probably wondering “what does dmo stand for”, right? Great question, DMO means “Daily Method of Operation”. Every entrepreneur should have a daily method of operation in place so that they know exactly what they intend to do, for the day, to grow their business AND extend their network. What marketing strategy are you using/doing – You should already determine what marketing strategy works best for you in building your business. Once you know what that is, then make it a point to put content out, via that strategy, to generate leads and make sales or get sign-ups. What content have you put out – For some, it could be a blog post and for others, it could be a video or paid advertising. Whatever form suits you best, make sure its content that gives value to your audience. 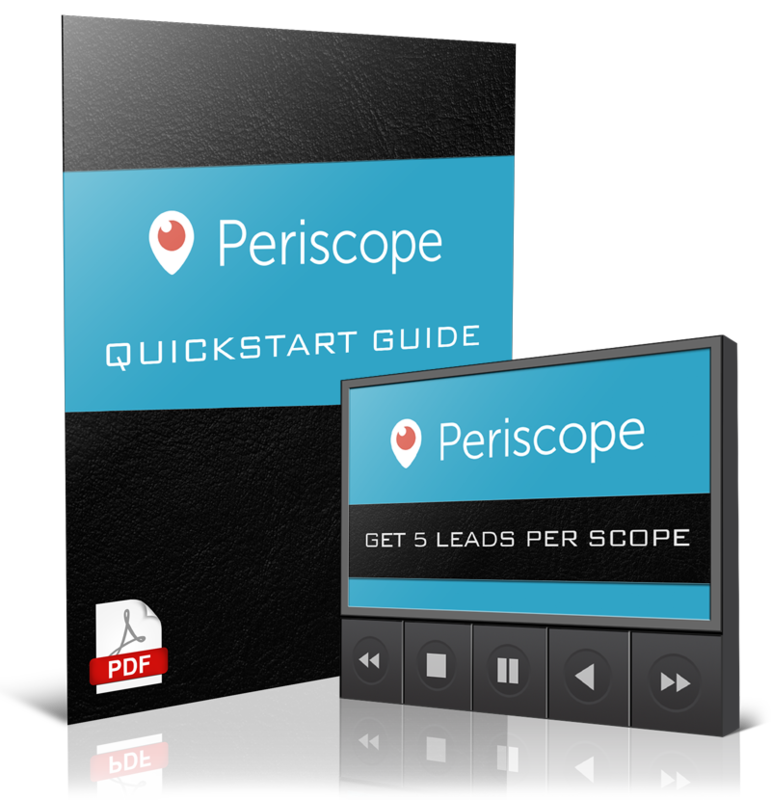 Something that establishes you as an expert authority figure in your respective niche. How many new connections have you made – Every day, we should be expanding our network. We should be connecting with new people that may have never heard of us before. This can be accomplished through social media, blog post sharing or leaving a comment on someone’s video and starting a dialog about what they shared. Have you emailed your list – The same way you’re making a conscious effort to connect with new people, you also should communicate with those that are already gleaning from you; i.e., those that have already subscribed to your email list. Keeping them informed is just as important. They are the ones that have been there from the start and if they’re still on your list, then that should tell you something. They like the information you’re sharing, they’re learning from you and they’ll eventually do business with you (if they haven’t already done so). What new leads have you added to your email list – This is a direct reflection of Action Item #1 and #2. The marketing strategy(ies) that you use and the content that you share will draw new leads in. Closely monitor your current marketing strategy and tweak where needed. The moment you see your opt-ins increasing, stay there and just keep adding value. The more value you give, the more they will come. These are just some of what the top entrepreneurs are doing when they share their network marketing success secrets. The moment we follow their lead and devise our own checklist method will be the moment that we see a shift in our business that will ultimately produce our own success. ONE very important tip to remember is to WRITE IT DOWN. Having it on paper keeps us accountable and also allows us to quantify our results. 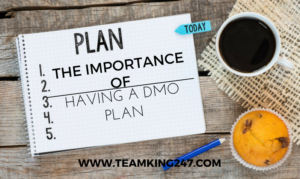 We hope you found today’s post on the importance of having a DMO plan helpful. If you found today’s post to be of value to you, then we would love for you to leave a comment below. Also, if you believe this information would be a blessing to someone else, then feel free to share it with others. We work, we grind, we hustle, we make moves, we put in long hours and for what? Why? Sure, you may know the answer but the bigger (or deeper) question is “do you understand why? If you do, then today’s post will only serve as confirmation of what you already know, and feel, as to why you’re making sacrifices that you make. A sacrifice should be done willingly – why? Because it’s for something that you want for yourself or someone else. No one can make you sacrifice. If you are going without it’s because you realize that in order to achieve the goal, it’s going to take being without for a season so that you can get the end result. It should be you giving up the lesser for the greater – Goals and dreams can’t be achieved when we continue to live and do as we have been. If we foresee a goal, especially if it’s a financial goal, then we may have to give up frivolous spending and incorporate a budget in order to achieve the goal. If could be you giving something up that’s distracting you or consuming too much of your time that you could be, otherwise, spending on building your business. Bottom line, you sacrificed short term pleasure for long term gain. It should be you being willing to go without so that others may have – if you’re building and growing your business to provide a better way of life for you and your family, then you’re doing what you do so that others may have. 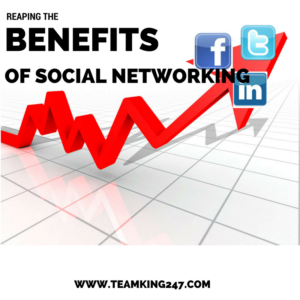 Perhaps it’s your business partners or your customers that you want to have them gain more so than yourself. In other words, you’re putting other people’s needs before your own. This alone is truly rewarding; especially when you know that what you’re doing or sharing will help them benefit in the end. That’s a true sacrifice! Now that you’ve received confirmation on why you’re doing what you’re doing, make sure that when you make a sacrifice, your heart is pure and your intentions are clear. You can’t go wrong when your goal, and the level of sacrifice it will require, are aligned. 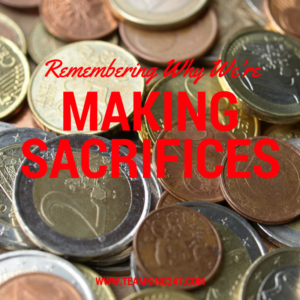 We hope you found today’s motivational post on remembering why we’re making sacrifices insightful. If you found today’s post to be of value to you, then we would love for you to leave a comment below. Also, if you believe this information would be a blessing to someone else, then feel free to share it with others. At some point, you may have had this to happen to you…someone presented a fantastic offer/opportunity that you knew you couldn’t refuse but you found all sorts of excuses as to why you couldn’t do it and the Number ONE culprit was TIME. Then afterwards, you regretted letting something so good pass you by because YOU thought you didn’t have the time for it. Why is that we always say “I don’t have time” but yet we can make time for everything else that probably isn’t doing us any good? Today’s post isn’t going to be long because all of what we have to share to help you manage your time and see, for yourself, how much time you actually do have throughout your day. Afterwards, be sure to “Like” our Facebook page “TeamKing247” so that you can tune in every Wednesday at 7:30PM EST for a new episode of our new series entitled “Kickin It w/the Kings”. 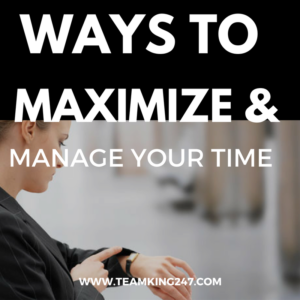 We hope you found today’s post on ways to maximize and manage your time helpful. If you found today’s post to be of value to you, then we would love for you to leave a comment below. Also, if you believe this information would be a blessing to someone else, then feel free to share it with others. P.S. If you found areas where you’re struggling with being productive and make the most of your time, then this training we found about a 31 year old snowboard bum and frustrated employee fires his boss and goes on to build his first $100,000+ Year With a Home Business may help. Click here to take advantage of it.